The film industry is loyal to its promise of providing just feel-good entertainment. The poster of Dharma Production’s new venture, Dhadak, has been released, and has so far generated less than positive buzz. The movie is an adaptation of the Marathi phenomenal hit Sairat. However, the choice of actors and the “first look” of Dhadak are so much a contrast to Sairat that establishing a distinction seems to have been the primary, if unwitting, focus of its makers. Sairat - the love story of a Maratha girl from a powerful family and a boy from a fisherman’s family - had become a sensational hit because it took to the big screen India’s gods of small things, choosing to focus on people and issues that get lost on Bollywood’s grand scale and stage. The USP of the movie was how the actors - debutants Rinku Rajguru and Akash Thosar - wore their characters’ skin like their own, and were immensely believable as Archie and Prashya. Dhadak, on the other hand, is as fancy as it gets - the lead actors are Janhvi Kapoor, Sridevi’s daughter, and Ishaan Khatter, Shahid Kapoor’s brother. The movie will be helmed by Shashank Khaitan, who made Badrinath Ki Dulhaniya, and produced by Karan Johar. It will be better if Kjo's Sairat based on twitter. Girl having blue tick with 10K followers writing regularly for wire/scroll while boy is happy that his letter get published in Saras-Salil. #BoycottDhadak. Because we won't watch a movie that erases caste and turns #Sairat into a palatable market launch pad for two Bolly star kids. The critics may very well be jumping the gun here. 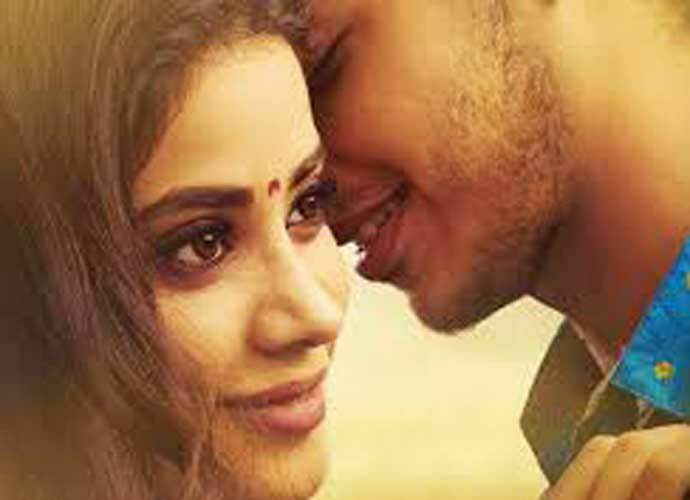 Dhadak may turn out to be a worthy adaptation of Sairat. But the scepticism to this stems from the fact that a story about the ugly realities of the non-shiny India is being remade by casting star-kids and produced by a movie maker who specialises in glitz, not grit. The story is set in Rajasthan, which Bollywood equates to palaces, glorious sunsets in the desert, coulourful lehengas, jewellery and lots of "Rani saas" and "Raja saas". Many feel Dhadak would be all about glitz and glamour, and dilute the grit and grime of Sairat. However, there is another, bigger reason for the scepticism. Bollywood, like the rest of India, has never been honest about facing up to caste. Indeed, a “source close to the movie" had been quoted as saying that Khaitan wanted a "lighter treatment" to the movie and that "Karan Johar wanted to relocate the plot to a more upmarket milieu and make it more Romeo and Juliet than play on caste". The “relocating” of the movie may very well be euphemism for prettifying. Making a story more-Romeo-and-Juliet-and-less-about-caste erases the one-sidedness of caste oppression, and establishes the families as enemies, but equals. Of course, it also gives the excuse to make both families very rich, which is the world Johar best understands. However, if "caste" is indeed erased from Dhadak, the blame for it will not lie only on Johar’s door. Bollywood, in the past decade, has discovered the small town with gusto. While through the 1990s, we watched mainstream movies set in namelessly similar cities which were vaguely assumed to be Bombay, movies like Bunty aur Babli, Mere Brother Ki Dulhan, Tanu Weds Manu, Raanjhanaa, identified the towns they were situated in through language, mannerisms, and repeated invocations (case in point the frequent “yeh Banaras hai” in Raanjhanaa). The localisation delighted the newly multiplex-going workforce that hails from these small towns, and turned into big gains for the movie makers. However, in Bollywood’s mainstream small towns, the omnipresent and sometimes still omnipotent caste factor is neatly invisible. Even in an otherwise masterful Netwon, the protagonist’s Dalit identity was only hinted at, the audience provided with blink-and-you-miss pointers. So why does Bollywood shy away from caste? Because the film industry is loyal to its promise of providing feel-good entertainment, and showing millennia of institutionalised inequality on screen is just not good taste. However, there is more to caste than that. The biggest strength of the caste system is how insidious it is, and, though present everywhere, how seemingly invisible. Talking about poverty, flesh trade and begging - issues Bollywood has routinely depicted - is acceptable, is mainstream, because the problems are located firmly away from the middle class. But it is bad form, regressive, or “activist-like”, to talk about caste. Sairat chose to talk about caste, which mainstream Bollywood comfortably ignores. Caste pervades every aspect of our lives. Caste is something everyone is complicit in. Caste is something the "upper castes" enjoy the benefits of every day, and the “lower castes” struggle against every day. And to ensure that this systematic oppression escapes scrutiny, the mainstream discourse, largely governed by the upper castes, has made caste invisible. No one who has grown up in Bollywood’s new favourite locales - Jaipur, Lucknow, Kanpur, Bareilly - has been untouched by caste. No one who has grown up in these towns, unless a politician or an activist, will openly admit to caste. Many millennials, when holding forth on the evils of seat reservation in jobs and education, will say that the first time they “encountered” caste was when they had to tick the relevant box in their college entrance forms. However, they don’t question the coincidence that most of their family friends had similar surnames - Mishras, Sharmas, Singhs and Shrivastavs of the world happily mixing with each other, the Kushwahas, Mandals, Paswans usually just acquaintances. We don’t question why in our educational institutes, teachers’ surnames came from one set of names, the non-teaching staff from another, the cleaning staff from quite another. The low-key, but constant violence lower-castes face in colleges and at workplaces - a raised eyebrow, a shared sneer - is never acknowledged, let alone addressed. When questioned, a generation that has internalised prejudices, but never faced up to them can only offer vague justifications on the grounds of “merit”. In a diabolical sleight of hand, the upper castes have invisiblised and, thus, normalised their exercise of power. Talking about it is bad manners, an instant pushback in the lower castes’ quest to genteel respectability. Bollywood, while largely escapist and unrealistic, is holding up a loyal mirror to the society in pretending caste does not exist. If Karan Johar and Shashank Khaitan, tellers of golden tales on the silver screen, even attempt to realistically depict caste, they would have done more than most. The writer is a journalist.